What do you do when you turn 2? We had a house built for Gnorman! 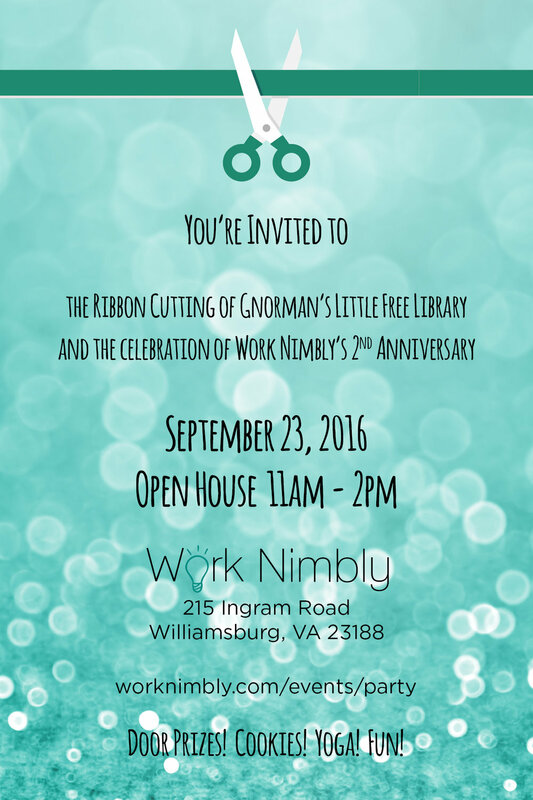 Join us for a celebration of our 2nd Anniversary and the Ribbon Cutting of Gnorman's Little Free Library! There will be goody bags and doorprizes as well as refreshments, entertainment, and our usual shenanigans! The event is Open House style, but there will be free outdoor yoga (weather permitting) at 11:30 for anyone who's interested!